The world is dying and the isolated Kingdom protected and blessed by the crystal is taking it`s last breath. The heretic outside forces are making their way to the royal palace, and the curtains rise for the tragedy that is about to unfold. Prince Noctis and his friends embark on an journey to save the Kingdom of Lucis, and stop the world of being swallowed into an eternal night. "And in the endless nigh, In despair, He may see the dawn, That will awake him him in the next mourning"
Will you join Prince Noctis and his friends to see this beautiful, and grand tragedy to it`s bitter end? 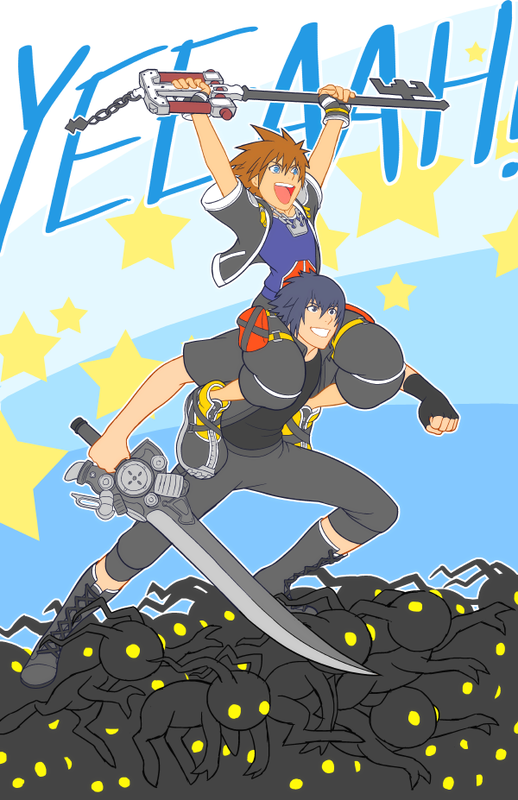 In short, welcome to the Noctis fanclub! 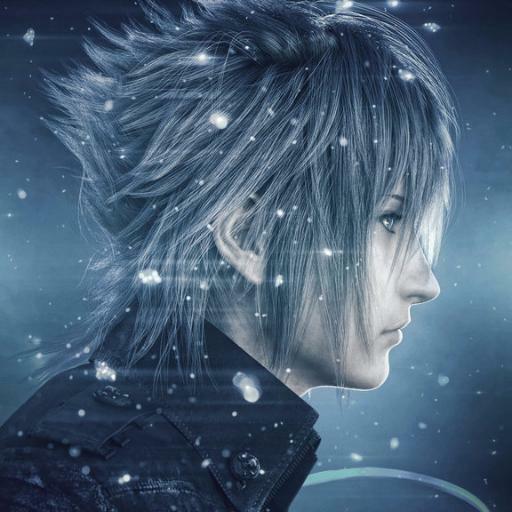 Here you are able discuss about Noctis and things related to FFXV. You may also post gifs, fan-art, all sorts of stuff. Poems, theories and etc.. The way SE presents FF XV and especially the characters, I really thought I'd hate every single one of them. Noctis convinced me a little otherwise tho. Besides it being hilarious that e.g. Gladio calls him a princess (which I did before that happens), he's the only one I sometimes snickered at when he said something and found at least a little interesting by now. I'd still not consider me a fan though. I think he's a relatable, maybe even likable character, but SE tries so hard to make them "coool" and stuff...that might backfire in the end. Ah yes, that is possible worry of course. I am not too worried about that thou. The bros acted like bunch dorks a times in the demo, and Nomura said in an really old interview that in reality Noctis is a shy dork. So he might act cool, but he really is not one. A retinue is a body of persons "retained" in the service of a noble or royal personage, a suite (literal French meaning: what follows) of "retainers". There are other examples in the game, like how Latin is used everywhere. The royal palace of Insomnia seems to have some Gothic architecture(or something close to that) in it, also tying into the Medieval themes. I also like it because it gives a feeling that Lucis and especially the royal palace in the capital is an old building, full of tradition and has probably been there since the kingdom was founded. The artwork which has Lucian kings wearing armor(Regis also has one) also implies that the royal bloodline is long, long one. ^ You have been added Grey! The sleepy prince and the Kingdom of Lucis are deeply thankful for your support. "Altissia has many and varied locations, such as multiple cafes, ship-bourne market places and parks etc. The city is of a considerable scale, to the extent that even the developers sometimes get lost there! So we have created lots of different things to enjoy in Altissia and hope everyone is looking forward to visiting!" Yesssss, simply yes, yes, yes!! I would very much like to join this fanclub, please! That's actually my biggest fear. Noctis will be fine, I think, but as for his bros, I fear they'll be nothing but bystanders with little story. Sure hope SE surprises us with deeep story there. You have been added Fudge! The Prince (a.k.a secret dork) appreciates this! I am also looking forward to Altissia! Gonodola rides are the way to go. There were a couple of concept arts that showed Noctis, Gladio, Ignis, Prompto and Luna playing as children, so I am pretty sure we will explore the main casts past at least to some extend. If the game is supposed to partially be road trip, then Noct`s friends are really important part of it. I am hopeful that they will be more than bystanders. Welp, how can I say no? I might not really care about FFXV but Noctis is a precious child and I love him a lot. Not sure if I should join yet. I don't know enough about this character or his game to say whether I like them or not. But I'll just drop this here anyways. Stop this. 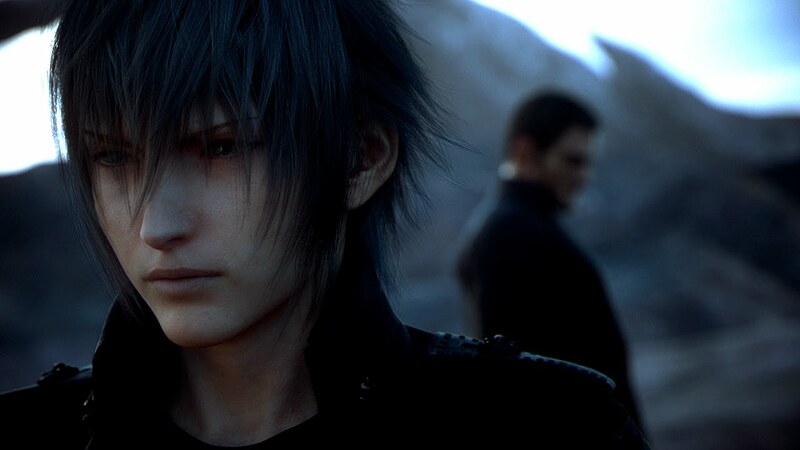 Noctis has beautiful Asian features. Welcome to the club Buffer! He looks like my brother. If my brother was like 7 years older and had black, fluffier hair. 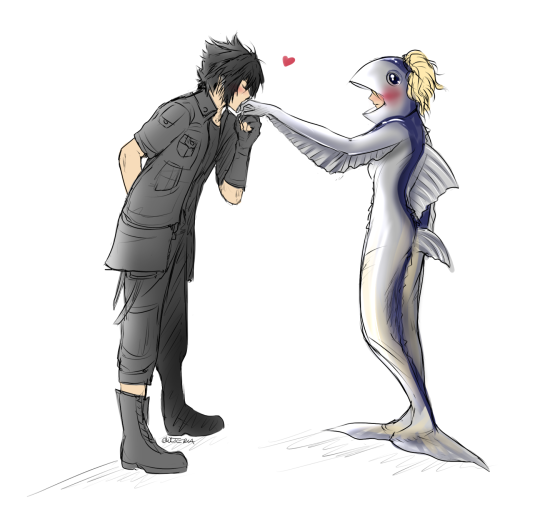 Noctis courting a fish? Wha...? And besides, Gladiolus is the Italian one.